Increasing commitments to protect Emirati workers are driving rapid growth in the UAE for the world’s leading professional health and safety body. 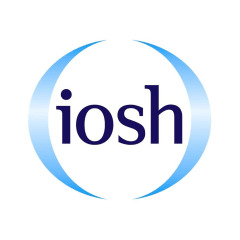 The UAE branch of the Institution of Occupational Safety and Health (IOSH) has doubled in size in the past two years – with membership doubling to over 1,700. This makes it one of the fastest-growing IOSH branches around the world, alongside London. Many of these professionals will come together for IOSH’s annual Middle East Conference in Abu Dhabi next week to hear about the latest in worker protection. They will focus in particular on the health and wellbeing of employees. “We are delighted with the growth of our branch. An increasing number of businesses in the UAE are recognizing that health and safety is paramount. The UAE Branch was set up in April 2014, as part of a split of its former Middle East Branch. Other branches set up include Oman. In 2016, the branch registered 234 new members. Last year, 506 new members registered. To date, 124 new members have signed up this year. Of its members, 723 are aged between 30 and 39, with a further 520 aged from 40 to 49. The members come from a wide cross-section of industries, including construction, hazardous industries and oil and gas. In December 2016, an IOSH-commissioned survey showed that business leaders across the Middle East identify worker protection against injury and ill health as vital to their success. Of 250 decision-makers surveyed, 91 per cent agreed that investment in health and safety is essential for their business having a good reputation, is resilient and productive. Eighty-five per cent agreed that health and safety is a top priority at board level. Matt added that organisations recognise that health and wellbeing is just as important as safety. He added: “Health and wellbeing needs to be given as much thought as safety. There are many ways that employers can ensure that their employees remain healthy, both physically and mentally. “In doing so, they can reap the rewards from having a motivated, fit and healthy workforce. I’m not sure any employer could say no to that. IOSH’s Middle East Conference is being held at the Yas Viceroy Hotel, Abu Dhabi, on Wednesday 25 April.